Receiving B.S. and M.S. degrees from the Julliard School of Music, David Taylor started his playing career as a member of Leopold Stowkowski’s American Symphony Orchestra, and by appearing with the New York Philharmonic under Pierre Boulez. Almost simultaneously, he was a member of the Thad Jones-Mel Lewis jazz band and recorded with Duke Ellington (The New Orleans Suite), The Rolling Stones, and Blood, Sweat, and Tears. Dave has recorded four solo albums (Koch, New World, and DMP) and has presented numerous recitals throughout the world (including Carnegie Recital Hall, Kaufman Auditorium at the Y at 92nd Street, and Merkin Hall). He has appeared as a soloist with the St. Lukes Chamber Orchestra, The Chamber Music Society of Lincoln Center, The Caramoor Festival Orchestra, The NY Chamber Symphony, The Basil Sinfonietta, The Adelaide Philharmonic, and The Group for Contemporary Music among others. 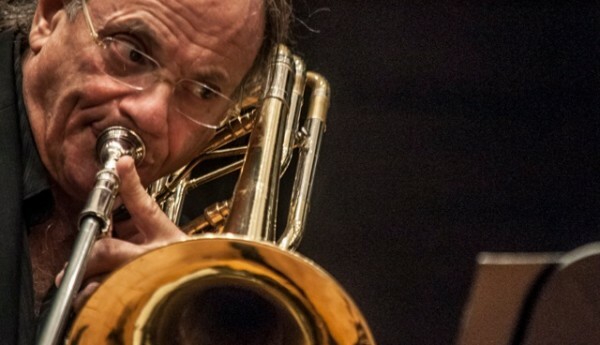 He has been involved in dozens of commissioning projects for the Bass Trombone in solo and chamber idioms; collaborating with composers including Alan Hovhaness, Charles Wuorinen, George Perle, Frederic Rzewski, Lucia Dlugoszchewski, Eric Ewazen, David Liebman, and Daniel Schnyder. He has appeared and recorded chamber music with Yo Yo Ma, Itzhak Perlman, and Wynton Marsalis. 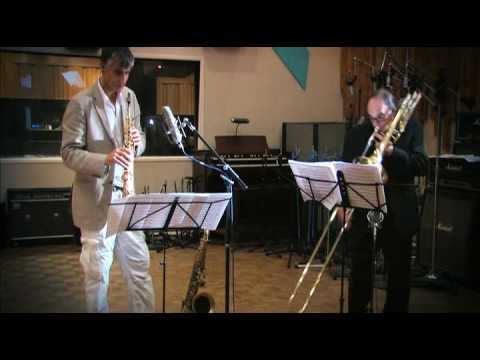 Throughout his career, David Taylor has appeared and recorded with many major jazz and popular artists including Barbara Streisand, Miles Davis, Quincey Jones, Frank Sinatra, and Aretha Franklin. He has won the National Academy of Recording Arts and Sciences Most Valuable Player Award for five consecutive years (the most it could be awarded) and has been awarded the NARAS Most Valuable Player Virtuoso Award, an honor accorded no other bass trombonist. He has been a member of the Gil Evans Band, Thad Jones-Mel Lewis Band, George Russell’s Band, the George Gruntz Concert Jazz Band, and the Chuck Israel Band to name a few. Although he has performed on numerous Grammy Award-winning recordings, 1998 was special. In 1998 Taylor performed on four Grammy-nominated CD’s: The J.J. Johnson Big Band, Dave Grusin’s West Side Story, the Joe Henderson Big Band, and the Randy Brecker Band. The latter two CD’s were chosen for Grammys. David Taylor currently performs with The Chamber Music Society of Lincoln Center, The Charles Mingus Big Band, Eos Orchestra, The NY Chamber Symphony, The Mostly Mozart Festival Orchestra, The Michelle Camillo Band, Areopagitica (a brass trio in residence at Mannes College), The Bob Mintzer Band, the Daniel Schnyder, David Taylor, and the Kenny Drew Jr Trio. He appears frequently with Orpheus, the St. Lukes Chamber Orchestra, and he is on the faculties of the Manhattan School of Music, Mannes College, NYU, and SUNY Purchase. Some upcoming events include appearances with the Santa Fe Chamber Music Festival, Chamber Music Northwest, and master classes and recitals in the U.S., Europe, and Japan. 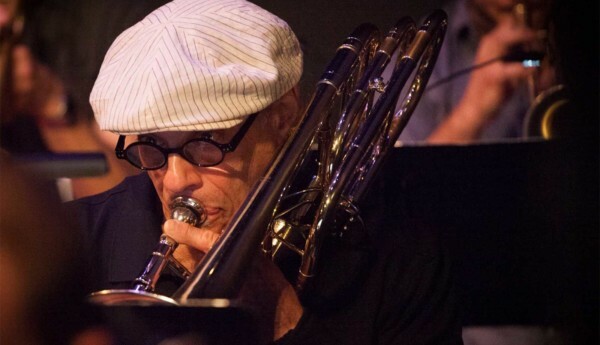 This year Mannes College will schedule its Third Annual Trombone Day with David Taylor. In 1999, Taylor performed four concerti written for him. Two of these were world premieres by Daniel Schnyder and Franz Hackl. David has also appeared with the Absolute Ensemble under the direction of Kristian Jarvi ( this project was broadcast on European TV and recorded for Enja Records), The Niederoesterreichische Tonkuenstlerochester, and The Tiroler Symphonie Orchester Innsbruck.